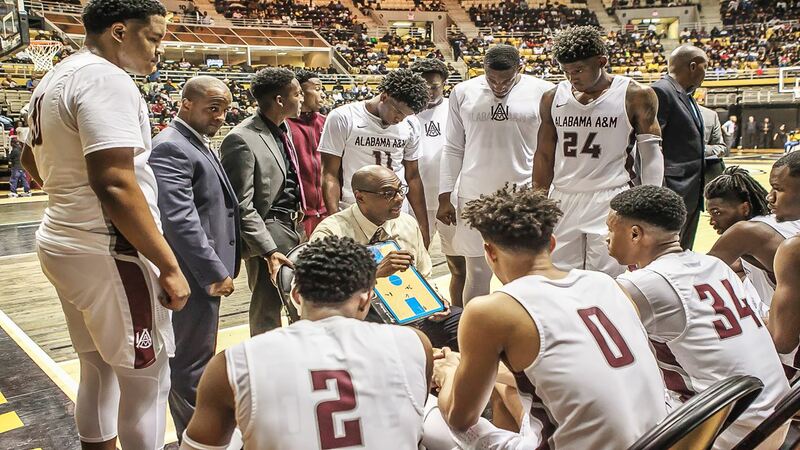 Alabama A&M interim head basketball coach Dylan Howard has assembled his staff for the 2018-19 season. Derrick Tillmon has joined the staff as the associate head coach, and Antwain Banks and Carl Richburg will serve as assistant coaches. While at Morehead State, he helped the Eagles win 23 games during the 2015-16 season and earn a berth in the College Basketball Invitational. Before going to Morehead State, Tilmon spent three seasons at Missouri State, where he was part of the Bears’ 2013-14 team that won 20 games and reached the postseason tournament. That MSU team had one All-Missouri Valley Conference player and one All-MVC Freshman Team selection. Prior to his three seasons at Missouri State, Tilmon spent three years (2009-12) at Southern Indiana. The Screaming Eagles went 72-16 (.818) overall, winning 24 contests each year, and captured the 2012 Great Lakes Valley Conference Tournament title. Tilmon worked with nine all-conference picks and three Division II All-Americans. Tilmon spent the 2005-06 season as an assistant coach at Division II member Shorter (Ga.) before a three-year stint, from 2006-09, as an assistant coach at Division II school Kentucky Wesleyan. A native of Clarksdale, Miss., Tilmon played five years of professional basketball in Europe. He made stops in both Austria and the Netherlands. The 6-foot-7 post player earned a spot on the Netherlands All-Star team and was part of the Netherlands Championship Series. Tilmon played one year at Hiwassee (Tenn.) before spending his final three seasons at Missouri Valley Conference member Southern Illinois. He was a three-year starter for the Salukis, scored 605 points and finished 13th in school history with 58 blocked shots. His senior campaign in 1999-2000, SIU finished 20-13 and advanced to the second round of the National Invitation Tournament. Tilmon earned a bachelor’s degree in health education from Southern Illinois in 2000. He and his wife, Nicole, have two sons, Derrick Jr. and Darren. Before Clayton State, Banks spent the 2015-2016 at Indianapolis University of Purdue University at Indianapolis (IUPUI) as the Director of Basketball Operations. While there he assisted the coaching staff with the administrative aspects necessary to run a high level program. He also worked with Darell Combs, who would go on to become one of only 23 Jaguars in the program’s history to surpass 1,000 career points, and Academic All-District selection Matt O’Leary. Combs would also go on to be named to the All-Summit League Team with teammate Marcellus Barksdale. 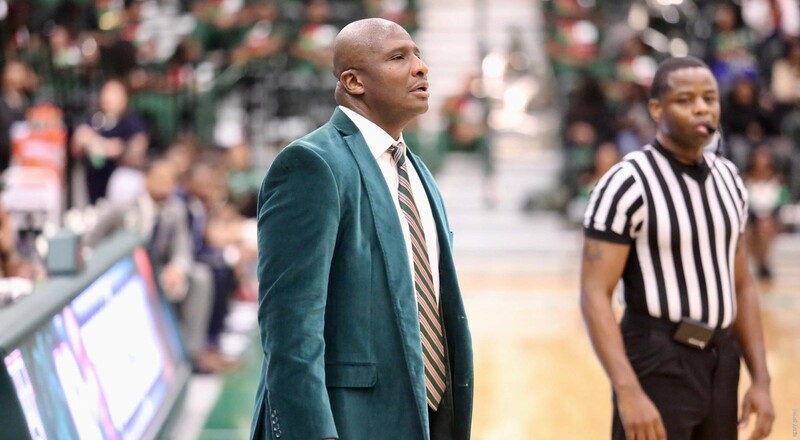 Prior to his time at IUPUI, he spent six years at Division II Kentucky State from 2009-15, the last four as head coach. During his tenure as an assistant coach with the Thorobreds he was part of the 2010-11 squad that posted the first winning record in 11 seasons (15-13) and produced All-Southern Intercollegiate Athletic Conference First-Team selection Tony Johnson. Following that season Banks was named the interim head coach and led the program to a 12-15 mark in 2011-12. After that initial campaign he earned the permanent head coaching position and proceeded to lead KSU to its first back-to-back winning seasons since the 1992-93 and 1993-94 seasons. He guided the program to a 15-12 mark in 2012-13 and a 15-14 record the following year. The latter would see the Thorobreds reach the semifinals of the SIAC before falling to top seeded Tuskegee. He would also produce a SIAC All-Academic Team selection in Quentin Henderson that same season. In 2014-15, he would coach another All-SIAC honoree in Ulysses Thomas (Honorable Mention) before finishing his Kentucky State career with an overall mark of 51-59. Perhaps most impressive was his 94-percent graduation rate at the institution before his transition to the Division I ranks with IUPUI the following season. Prior to beginning his coaching career, Banks played two years at Ancilla College in Donaldson, Indiana from 1999-2001. During that time he served as team co-captain, led the program in both assists and steals and guided the Chargers to their first ever appearance in the Michigan Community College Athletic Association (MCCAA) Tournament in 2000-01. From there he would move on to Indiana Southeast from 2001-03 and lead the club in assists and steals for what would be a powerhouse program. The Grenadiers would win back-to-back conference championships for the first time in program history and qualify for the league championship game each of those seasons. On top of that, the 2002-03 team would set the program record for wins with a 21-13 campaign that saw them make their first NAIA Tournament appearance in six seasons. It would spark a string of eleven 20-win seasons over the next 12 campaigns. In addition to his traditional coaching stops, Banks has been a regular on the camp circuit, including at Notre Dame (2006-08, 2011) and Wake Forest (2008-09). H has also worked camps at Ohio State, Indiana, Taylor University (2006-07, 2009), Indiana Southeast (2002-08) and Allan Houston’s Father & Son Camp. Banks holds a Bachelors in General Studies from IUS in 2004 and completed his Masters of Science in Athletic Administration and from Western Kentucky in 2016. He is a member of the NABC and NAFCED. Carl Richburg comes to Alabama A&M after working with the University of Missouri Men’s basketball program as a graduate assistant from 2016-2018. During his two years in Columbia, Richburg worked with both Kim Anderson and Cuonzo Martin and the Tigers improved from 8 wins in 2016-17, to 20 wins in 2017-18 including an NCAA Tournament berth. At Mizzou, Richburg instructed graduate transfer, Kassius Robertson, who became 1st team All-SEC, a year after transferring from Canisius. Robertson now plays professional basketball in Germany. He also instructed Jontay Porter, who became SEC 6th Man of the Year, and made the SEC All-Freshman Team; Michael Porter Jr., whom was selected 14th overall to the Denver Nuggets in the 2018 NBA Draft, and Jordan Barnett who signed with the Milwaukee Bucks. Prior to Mizzou, Richburg worked as an Assistant Athletic Academic Counselor from 2015-16 with the University of Michigan. He oversaw 134 student-athletes, in which 36 of his students received Academic All-Big 10 honors. 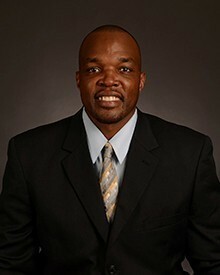 While working at Mizzou, Richburg also assumed the role of Head Men’s Basketball Coach at Washtenaw Community College. From 2013-15, Richburg worked for Jeff Sherman at Central Methodist University; NAIA D1 in Fayette, MO. He was a Varsity Assistant, and Head JV Coach for the Eagles. His duties included: fundraising, film trading, recruiting, on-court coaching, individual skill work. In 2013-14, Richburg was a part of a team that was 18 games and climbed as high as #22 NAIA D1 Rankings. Richburg helped instruct guard Melvin Tillman who finished as NAIA 2nd team All-American, NAIA National Player of the Week, and HAAC Player of the Year. In 2014-15, Richburg was a part of a Central Methodist team that won 20 games and ranked as high as #22 in the country. Richburg recruited 24 players to the program in the two years he was with Central Methodist. Prior to Central Methodist, during the 2012-13 season Richburg served as an Assistant Coach for Division III Thomas More College (KY), under Jeff Rogers. His duties included: skill development, strength & conditioning, recruiting, and on the floor coaching. During his lone season at TMC, Richburg was a part of a team that won a school record 23 games, and helped develop point guard, D’Carlo Hayes, who won PAC Player of the Year, First Team D3 All-Region. A native of Mason, OH, Richburg’s college playing career included one year at the University of Southern Indiana where his team finished 4th in the country, NCAA DII, GLVC Regular Season Champions, and Conference Tournament Champions where he was named All-Tournament Team. 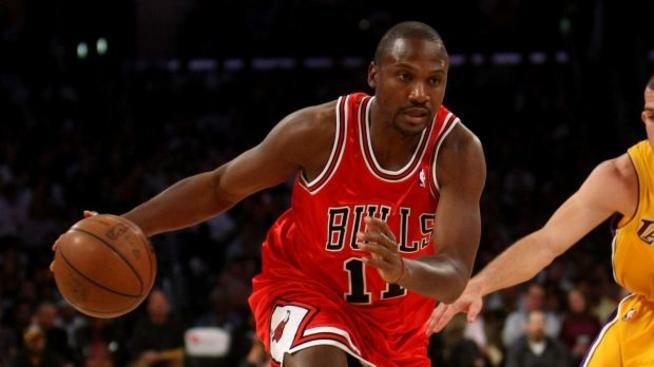 Richburg finished his career playing for Charlie Coles at Miami (OH) University, where he participated in the NCAA Tournament, NIT, and CBI. Richburg earned a bachelor’s degree in psychology from Miami University in 2009, a master’s degree from Central Methodist University in 2015, and a master’s degree from University of Missouri in 2018.